In addition to our dance performances we also provide DJ services, Sound and Lights for your event to add to the fun. 3 hours of DJ playing time. 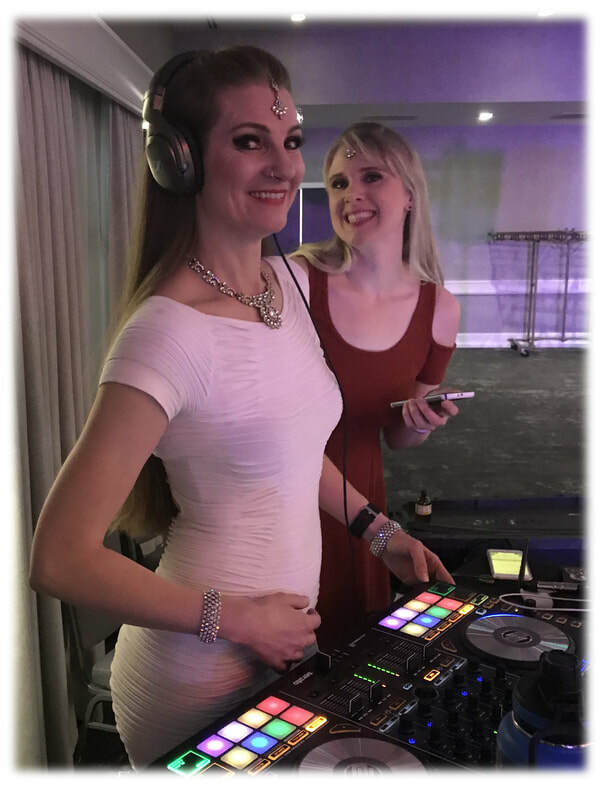 $75 for each additional hour of DJ play time. Additional Lights/Effects/Props can be provided on request. Additional Lights/Effects and can be provided on request. Starting at $800. (DJ Service, Sound 200, Dance Floor Lighting & Consultation). Packages are quoted and arranged for your venue and your occasion. We will work with your dreams and within your budget.